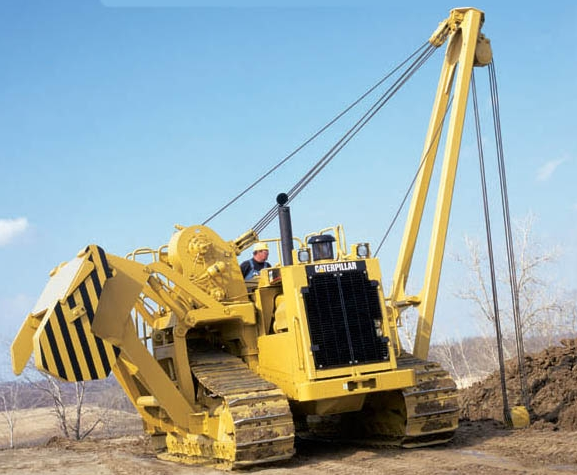 The Challenger hydraulic pipelayer conversions converts the Caterpillar 572 and 583 pipelayers from a mechanical to a hydraulically operated drawworks. The hydraulically driven planetary gear winches will provide smooth precise load handling capabilities with infinitely variable line speeds. This conversion simplifies operator training and improves operational safety. The simple two lever control system reduces operator fatigue. This package can be installed in Challenger Service’s shop or shipped to the customers site for installation at his facility. Pipelayer Equipment is Challenger Services specialty. 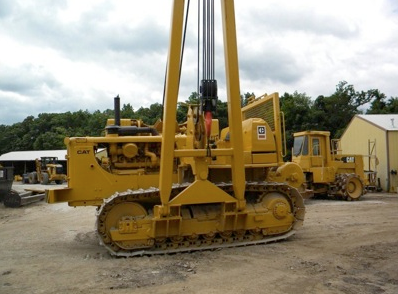 We offer pipelayer equipment for sale or rental. Don’t see something? Call us and we may be able to locate it or point you in the right direction. Our equipment is top quality built to last for the rigors of the field. Our 583R pipelayer is more than powerful enough for your needs. Hydraulic power is 490L/min at 18 259 kPa/183 bar (129 GPM at 2650 PSI) and 2100 rpm pump speed independent of torque converter. 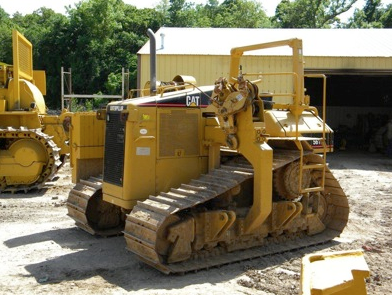 Our pipelayer caterpillar 583K is a nice work horse for your project. The 583K has a planetary shift with 530 mm/21″ diameter, high torque-capacity oil clutches. Special valve permits unrestricted speed and direction changes under full load. Single-stage torque converter with output torque divider combines smoothness and economy. Connected to transmission by double universal joint for unit construction to provide servicing ease. The 583 has an excellent counterweight system with fully hydraulic control, high mounting of counterweight pivot point gives excellent side and bottom clearance. Over-center design prevents creep-out when retracted. It has minimum overall width for easier maneuvering and shipping. 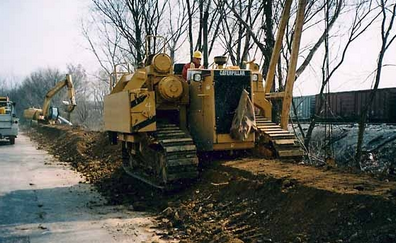 We offer a great midwestern pipelayer for all your needs. The 572G is a powerful machine that delivers. 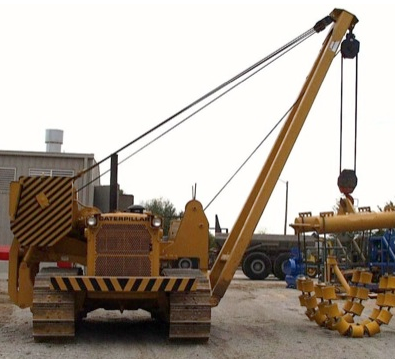 The midwestern pipelayer provides continuous power to pipelayer winches, independent of torque converter. 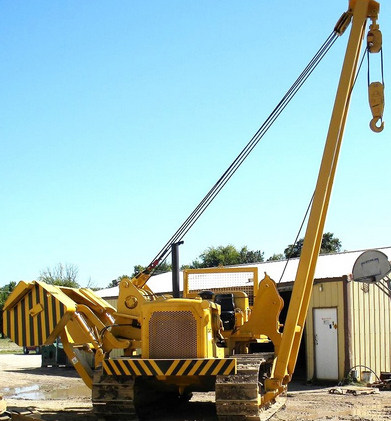 It has a lifting capacity of 18′ on its boom. The brakes are interchangeable between boom and load line drums, self-energizing, protected from weather. Call us today to see how to we can use this pipelayer on your project. Pipe layer’s make a huge different on pipe projects. The 561M pipe layer is a work horse for your project. The diameter wire rope is 5/8 inches with a minimum breaking strength of 41,200 pounds. The standard boom is 18 feet and the total operating weight is 37,150 pounds. Call us today for any further specs on this pipe layer. 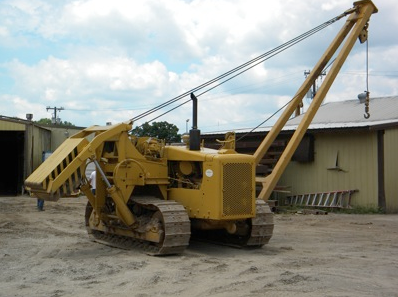 Our heavy machinery pipelayer 561N is a great find for your project. The width of the tractor is 101 inches with the total machine height of 99 inches from the tip of the grouser to the top of the winch. 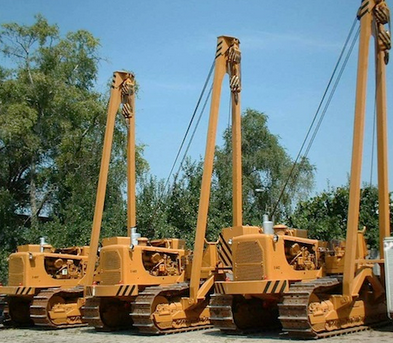 This heavy machinery pipelayer is perfect for your project. Call us today to use this on your project. 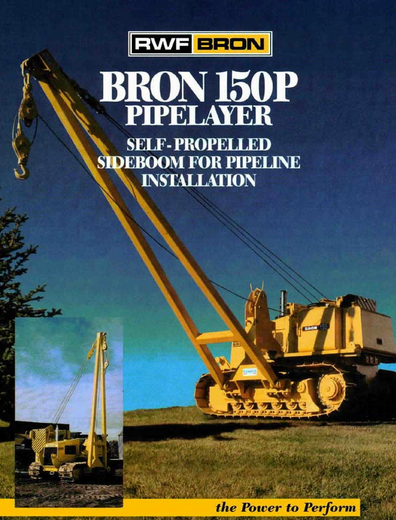 Need a side boom tractor pipelayer? Our 561D is perfect as a powerful tractor for your project. The side boom tractor has continuous power to pipelayer winches, independent of torque converter. The winch transmission has a sliding gear, built by Caterpillar, 3 speeds for raising, 1 for lowering. The drums are operated independently or simultaneously. This side boom tractor is a solid piece of machinery for your next project. Call us today to see how we can help. Track type tractors are one of our specialties at Challenger Services. Our Bron Model 150 track type tractors provide power when you need it most. The Bron Model 150 has the power to perform, call us today to find out the track type tractors we have for sale for your project.